It’s a problem most gardener’s face sooner or later. The garden did so well this year, that it almost did too well. This was my first year with tomatoes and I discovered that homegrown tomatoes taste amazing – totally unlike store tomatoes. Yet, even at that there is only so much tomato that a person can handle. Plus, now that the weather is winding down, you hate to see those little green fruit go to waste since they won’t have time to ripen before the frost. So what do you do? I’m not into the idea of canning tomatoes – too much can go wrong there. However, here are a couple of recipes that I have tried with fantastic results. 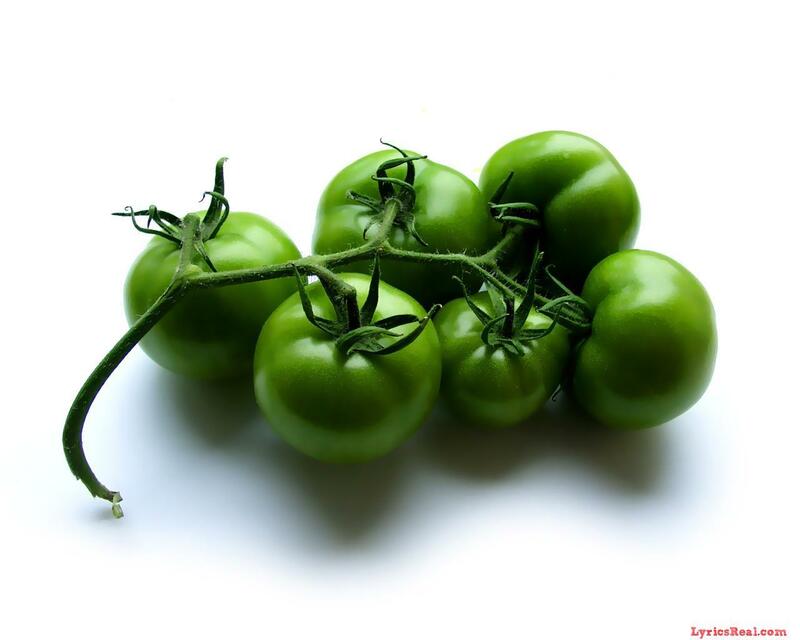 2-3 medium sized firm green tomatoes (they shouldn’t have any red on them and they can be smaller or larger than medium sized – this is just to give an idea of amount). I’ve used ones that were only slightly larger than quarter and they were very tasty. 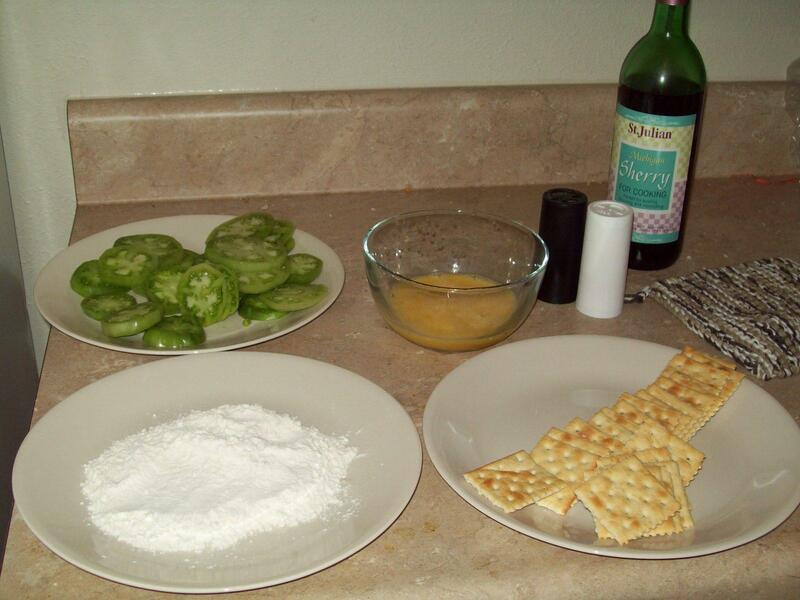 Slice the green tomatoes so that the slices are slightly larger than 1/4″ thick and set aside on a plate. Arrange one plate with the cracker crumbs, one with the flour, and the one with the tomatoes next to a small bowl containing the beaten eggs. (It works best if you leave a trickle of water running so you can rinse your fingers every couple of tomato slices. It makes things smoother. )Dip the slices one at a time in first egg, then flour then egg again, then cracker crumbs. Fry them in 2 Tablespoons of oil per batch, about 2 – 3 minutes per side over medium-high heat. Salt and pepper to taste, if desired. Serve warm. This next one we used to have all the time when I was a kid. I called my mom to get the recipe. This is amazingly good. It tastes neither like jello nor like green tomato. It tastes like fresh fruit jam, the flavor depending on the jello that you choose. In a deep pot, bring the green tomato puree and sugar to a rapid boil and continue to boil for 10 minutes, stirring frequently. The mixture will foam a lot. After 10 minutes, remove from heat and stir in the jello. Blend thoroughly. 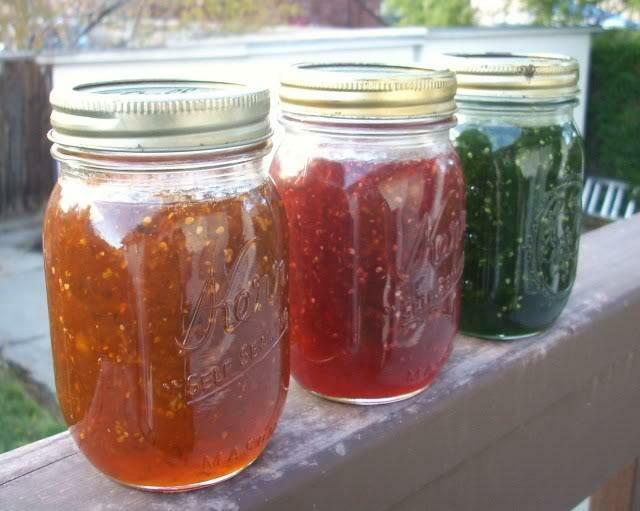 Pour the jelly into the prepared jelly jars, leaving room for the paraffin. Top with the paraffin wax and then the lid. Allow to cool completely and store in the freezer.